Ali Sadki, nicknamed “Azayku” because his parents were members of a Berber-speaking tribe from the Izyuka (located between Agadir and Tiznit), was born in 1942. He first went to school in Tafingult, to the south of Tizi n Test, where his teachers were French. He then attended the nationalist Pasha School in Marrakech. At about eighteen years old, when he was at the Regional Primary Teachers Training College in the same town, he suddenly felt himself to be “Berber,” as if he were coming out of a trance. At the beginning of the 1962 autumn school term, he was sent to teach in Imi n Tanut. Having passed his Baccalaureat as an independent candidate, he enrolled at the Arts Faculty and the Teachers Training College at the same time, obtaining his History and Geography degree and his Capès in June 1968. Ali Azayku then taught at secondary school in Rabat for two years. In his spare time during his second year of teaching (1969-70), he took part, together with Brahim Akhyat, Ahmed Boukous, Abdallah Rahmani “Jichtimi” and several others, in a programme of educational support for students and tradesman handicapped by their Berber origins. These non-fee-paying courses, held in the Chamber of Commerce, were nonetheless banned at the end of the first year. Azayku then went to Paris to attend Lionel Galand’s Practical School for Further Studies into, and the Teaching of, Berber at Langues O. Returning to Rabat, he taught history at university and was an active member of the Moroccan Research and Cultural Exchange Association (AMREC), which rose from the ashes of the educational support programme. Through his impetus, the magazine Arraten (Writings) and Imuzzer (Cascades) a collection of four of his poems, were published as Azayku had been trying, since the age of twenty-two, to put down Berber lyric in writing. His daughter Tilila and his son Ziri, other examples of his creativity, were born in 1973 and 1975 and were given surprising and innovative first names. In 1981, having left AMREC, Azayku founded, together with Mohammed Chafik of the Royal Academy, the Amazigh Cultural Organisation, run mostly by people from the Middle Atlas mountains. The conference-debate on Berber civilisation, held in the presence of Leopold Sedar Senghor, Mahjoubi Aherdane, Minister of State, Chafik, Chaouki, Moatassime and so on, had undeniable repercussions. The short-lived Association published, in the space which should belong to the Berber language, the first part of a study by Azayko. The second part, published in April 1982 in Aherdane’s magazine, was worth twelve months of prison for the historian-poet who had broken away from the Chleuh circle. It was a turning-point in his life. His health suffered but his poet’s soul was further strengthened by the support of faithful friends, and, on being released from prison, he returned to his University lecturer’s post. 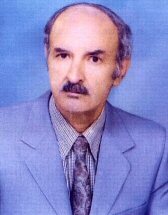 Ali Sadki Azayku published two volumes of poetry written in Arabic characters – Timitar (Tessaries or Tokens), a collection of 33 poems published in 1989 and Izmulen (Scars) published in 1995, a collection of 19 poems which almost won the Moroccan Literary Creation Prize. Around twenty of his poems have been set to music and performed by Ammouri Mbarek, the reviver of Moroccan Berber music.